This species is accepted, and its native range is Africa to Syria. Tree up to 20(–30) m. tall; trunk short; main branches spreading. Leafy twigs (1–)2–6 mm. thick, densely minutely puberulous and with much longer white to yellowish hairs especially on the nodes; periderm flaking off when dry. Lamina chartaceous to coriaceous, ovate to elliptic, obovate or subcircular, (1–)2.5–12(–21) × (0.5–)2–11(–16) cm., apex rounded to obtuse, base cordate to sometimes obtuse, margin subentire, slightly repand or denticulate; upper surface scabrous to scabridulous, sometimes almost smooth, hispidulous to strigillose, on the main veins whitish hirtellous to hirsute, lower surface puberulous to hispidulous, on the main veins partly whitish hirtellous or hirsute; lateral veins 5–10 pairs; petiole (0.5–)1–4(–6) cm. long, 1–3 mm. thick, densely minutely white puberulous and with much longer white to yellowish hairs, with the periderm flaking off when dry; stipules 0.5–2.5 cm. long, white puberulous to tomentose or partly hirtellous to hirsute, caducous. Figs solitary or sometimes in pairs in the leaf-axils or just below the leaves, on up to 10 cm. long unbranched leafless branchlets or on up to 20(–35) cm. long branched leafless branchlets on the older branches down to the trunk; peduncle 0.3–2.5 cm. long, 1–3 mm. thick; basal bracts 2–3 mm. long. Receptacle obovoid to pyriform or subglobose, often stipitate at least when dry, 1.5–5 cm. in diameter when fresh, (1–)1.5–3 cm. when dry, white to yellowish or brownish velutinous or densely tomentose to sparsely puberulous or pubescent, sometimes almost glabrous, yellowish to reddish at maturity. Forest edges, lakesides, riverine, extending into drier country especially where seasonal water collects at foot of hills and scarps, rock outcrops; 0–2200 m.
Tree up to 20(30) m. tall, trunk short, up to c. 2 m. diam., main branches spreading. Leafy twigs 2–6 mm. thick, densely, minutely puberulous and with much longer, white to yellowish hairs, especially on the nodes; periderm flaking off when dry. Leaf lamina ovate to elliptic, or obovate to subcircular (1)2.5–12(21) x (0.5)2–11(16) cm., chartaceous to coriaceous, apex rounded to obtuse, base cordate sometimes obtuse, margin subentire, slightly repand or denticulate; superior surface scabrous to scabridulous, sometimes almost smooth or hispidulous to strigillose, the main veins whitish hirtellous to hirsute, inferior surface puberulous to hispidulous, the main veins sparsely whitish hirtellous to hirsute; lateral veins 5–10 pairs; petiole (0.5)1–4(6) cm. long, 1–3 mm. thick, densely, minutely white puberulous and with much longer white to yellowish hairs, with the periderm flaking off when dry; stipules 5–25 mm. long, white puberulous to tomentose or partly hirtellous to hirsute, caducous. Figs solitary or sometimes in pairs in the leaf axils or just below the leaves on unbranched, leafless branchlets up to 20 cm. long, or on branched, leafless branchlets up to 20(35) cm. long, or borne on the older branches down to the trunk; peduncle 3–25 mm. long, 1–3 mm. thick; basal bracts 2–3 mm. long. Receptacle obovoid to pyriform or subglobose, often stipitate, at least when dry, 1.5–5 cm. in diam. when fresh, (1)1.5–3 cm. in diam. when dry, velutinous or densely tomentose to sparsely puberulous or pubescent, sometimes almost glabrous, yellowish to reddish at maturity. Generally by streams in the savannah regions. Launert, E. & Cope, G.V. (eds.) (1991). 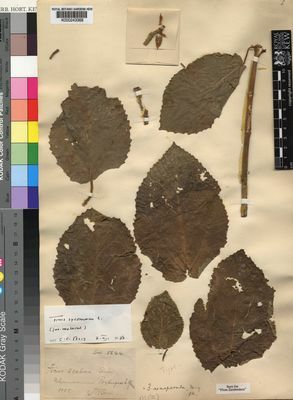 Flora Zambesiaca 9(6): 1-135. Royal Botanic Gardens, Kew. Berg, C.C. & Hijman, M.E.E. (1989). Flora of Tropical East Africa, Moraceae: 1-95. Troupin, Fl. Pl. Lign. Rwanda: 449 (1982). Aweke in Meded. Landb. Wageningen 79-3: 72, fig. 18 (1979). F. White, Forest Flora of Northern Rhodesia p. 30, t. 6B (1962). Dale & Greenway, Kenya Trees and Shrubs p. 321 (1961). F. W. Andr., The Flowering Plants of the Anglo-Egyptian Sudan 2: 263, fig. 92 (1952). W.J. Eggeling, Indigenous Trees of the Uganda Protectorate, ed. 2: 260 (1952). J.P.M. Brenan, Check-lists of the Forest Trees and Shrubs of the British Empire no. 5, part II, Tanganyika Territory p. 355 (1949). Peter, Flora von Deutsch-Ostafrika 2: 90 (1932). Hutch. 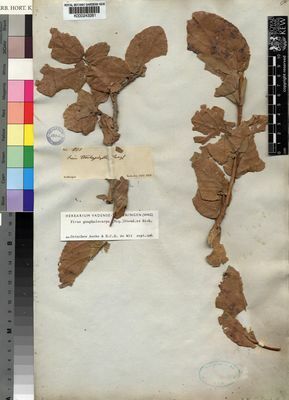 in Flora of Tropical Africa 6(2): 95 (1916). Mildbr. & Burret in A. Engler, Botanische Jahrbücher für Systematik, Pflanzengeschichte und Pflanzengeographie 46: 191 (1911). L., Sp. Pl. : 1059 (1753).